The covenants for Mission Viejo were established by the developer when the neighborhood was initially built. They were intended to create mutual and beneficial restrictions for the purpose of enhancing and protecting the value, desirability and attractiveness of properties and the high standards of development and maintenance that exists in the community. The covenants run with the land so that any subsequent owners of property are subject to the same provisions as the original owners. 1. Landscaping shall be completed in the front and side yards of lots within 7 months after conveyance of title and shall at all times be maintained in good condition and repair. No weeds, rubbish, debris, objects, or materials of any kind shall be placed or permitted to accumulate upon any portion of the property. 2.No boat, truck, trailer, camper, or inoperable vehicle shall be stored on any portion of any lot so as to be visible from adjacent streets or lots of similar grade. No automobile which shall not be in an operating condition shall be parked or left on any portion of a lot other than a garage. a. Boats, trucks, trailers or campers may be kept on a lot provided they are kept in a semi-enclosed area and concealed from the surrounding street and neighborhood. b. The outdoor repair of automobiles is prohibited upon any portion of the property as well as any other activities which may be or become an annoyance or nuisance to the neighborhood. Our covenants are usually given to the purchaser at the time of closing. For your convenience the Mission Viejo HOA has made copies of all the covenants for all the neighborhood filings for this web site. Locate your property in the appropriate filing below and then retrieve a printable format of your CC&R's (Covenants) below the map. You can also save these documents to your computer without opening them immediately by right-clicking and choosing from the options "Save Target As.." or "Save Link As..". The provisions of the covenants may be enforced by any owner of a lot within the neighborhood. This is called enforcement though equitable servitude which are specified for each of the filings within Mission Viejo. The purpose of these covenants are to create and follow a uniform plan for the residential development. Covenants are private limitations on land use. These covenants are also stated to run-with-the-land and are therefore perpetual. The HOA has also adopted this Board Policy regarding covenant enforcement. Please fill out and print this FORM (.pdf) or click and GO HERE to fill out the required fields in this web form if you would like the HOA to consider assisting you with an alleged covenant violation in the community. Thank You. 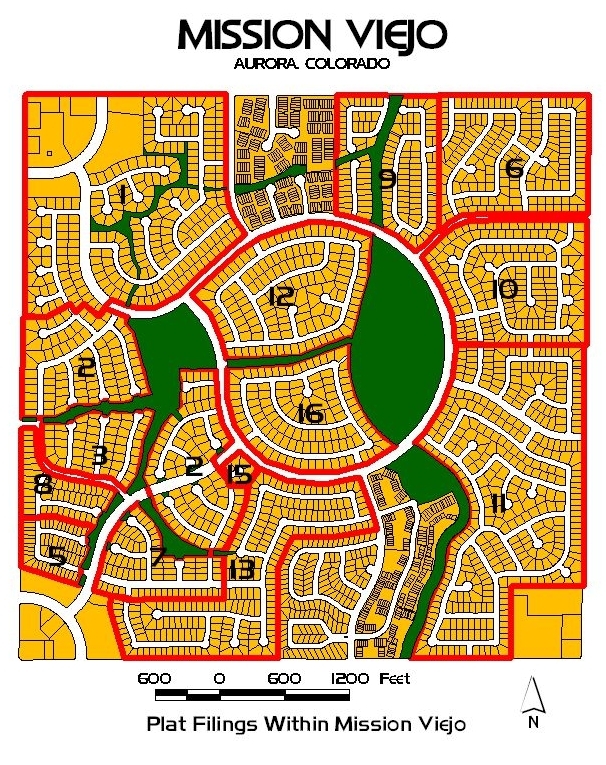 If you live within the Quincy Creek sub-filing (see location map and plat map), membership with the Mission Viejo HOA is permitted and all residents in this area are also asked to comply with all city zoning code restrictions. These are summarized on our web site and are found HERE.